Warning: This post is highly technical! It is also a long tutorial, so be prepared! 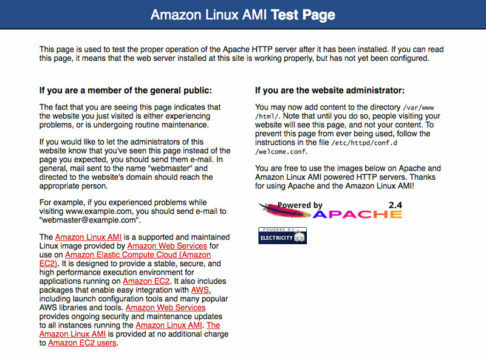 To complete this tutorial and launch your WordPress site, you’ll first need to have a new AWS EC2 instance, running the Amazon Linux AMI. Once your server is up and running, be sure to write down your Public DNS or Public IP, and then you’re ready to proceed with this tutorial. Now that your instance is ready to go, you can set up your web server and install WordPress. The instructions below are for users with Mac computers (or any other unix-based system), but if you’re a Windows guy or gal, you can use Putty to access your EC2 server, and once you’re in, the rest of the details will be the same. You’ll be told that the key’s authenticity cannot be found and asked if you want to contine; type yes and press enter. You should be connected to your instance now, but if not, retype the ssh command above, and you’ll get in. Wahoo! You now have a functioning LAMP web server. All that’s left to do is install and set up WordPress, and then you’ll be good to go. Enter the password you created in the last tutorial for the MySQL root user and press enter. Now, find the section that starts with <Directory "/var/www/html"> and make some adjustments. In particular, change the AllowOverride None to read AllowOverride All. That’s it…you’re ready to go! PHEW! 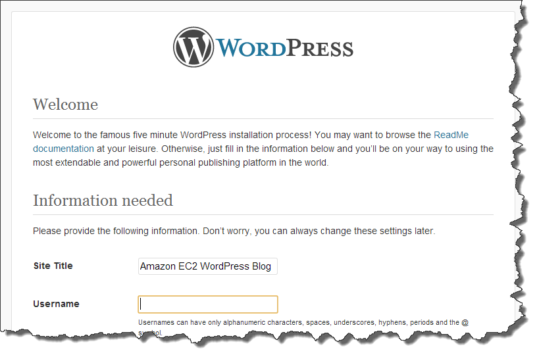 That was a long process, but now you’ve got your own EC2 server for your WordPress site. WordPress can be finicky, and it’s important to keep up with server, WordPress, and plugin updates. Only made it a few sentences in before we lost you? That’s OK – drop us a line and we’ll lend you a hand in setting up your site.